We respect our clients by promptly responding to order requests or general inquiries. We never stop working for you, even after fulfilling your order. Our customer service representatives are ready to answer your questions and solve problems in a timely and professional manner. 2) Classy quality of our products but very best price foy your purchase. 3) Fast new products update speed and prompt delivery. 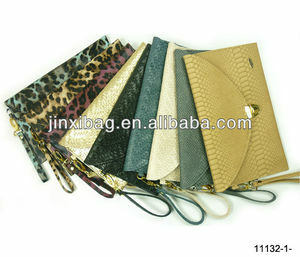 5.OEM: We can follow customers own design to make the handbags. Women's stylish evening party bag clutch with skull rings FREE SAMPLE!! 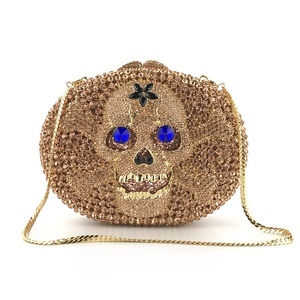 Women's stylish evening party bag clutch with skull rings 1. Making the sample until you are satisfied with it. 3. Offering professional one-on-one service and replying your E-mail within three hours 4. Shipment sample for checking before shipment. Laple pin with enamel fill is just like fine jewelry, are highly regarded because of their unique appearance and modern appeal. Promotional Custom hard Enamel Metal dead ghost badge skull sean fantastic lapel pin 1) Are you factory9 Yes, we are FACTORY. 3) Is the mold charge refundable9 Yes, the mold charge is refundable if your quantity is over 5000pcs or 10000pcs based on different process. Dongguan City Jiashun Handbags Parts Co., Ltd. 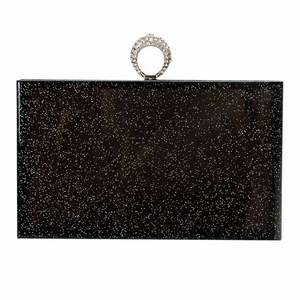 Warm Tips: We can also made the clutch bag in other materials as the buyers' demand, but the price should be adjusted. If the leather gets dirty or in case of superficial stains on the lining, we recommend that you wipe it with a soft and light-colored cloth. When not in use, store the article in the felt pouch provided with your purchases. If you need physical sample, we will send you by freight collect. 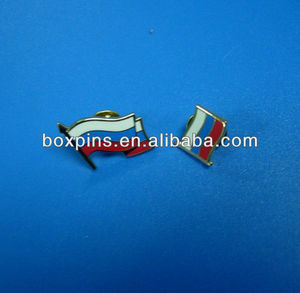 A4: We will provide you tracking number at the time of shipping. Depending on your item, we will check schedule and get a fastest production time for you. 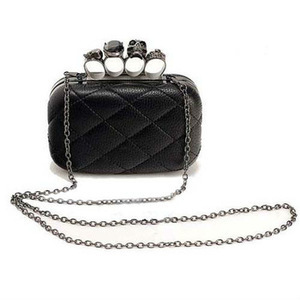 Alibaba.com offers 361 skull clutch products. About 31% of these are evening bags, 21% are metal crafts, and 12% are handbags. A wide variety of skull clutch options are available to you, such as pu, metal, and polyester. You can also choose from women, unisex. As well as from free samples, paid samples. 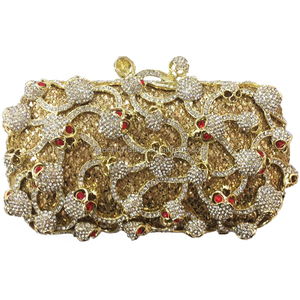 There are 362 skull clutch suppliers, mainly located in Asia. The top supplying countries are China (Mainland), Germany, and India, which supply 93%, 1%, and 1% of skull clutch respectively. 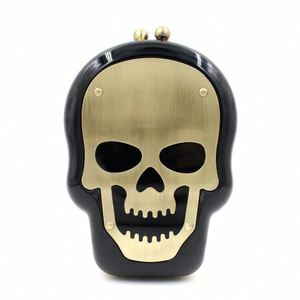 Skull clutch products are most popular in North America, Western Europe, and Northern Europe.